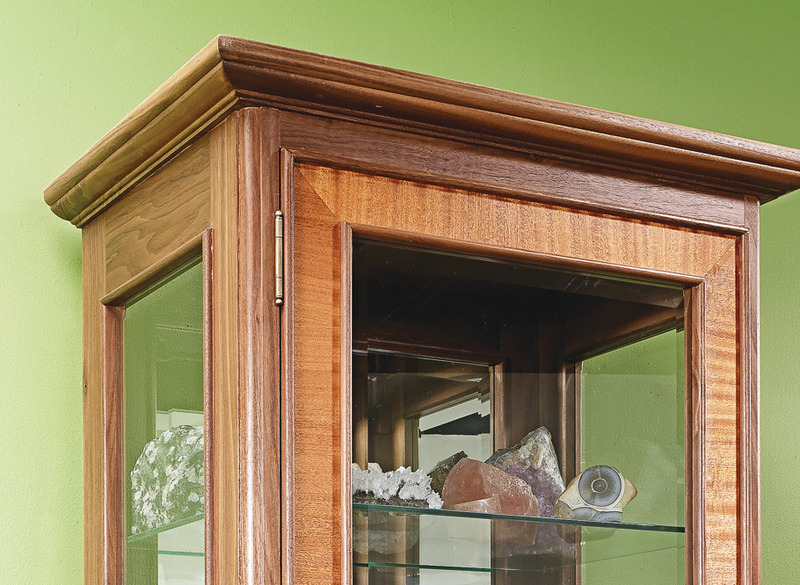 It’s tough to know what to look at first, the objects stored inside this impressive cabinet or the fine woodworking it takes to build it. 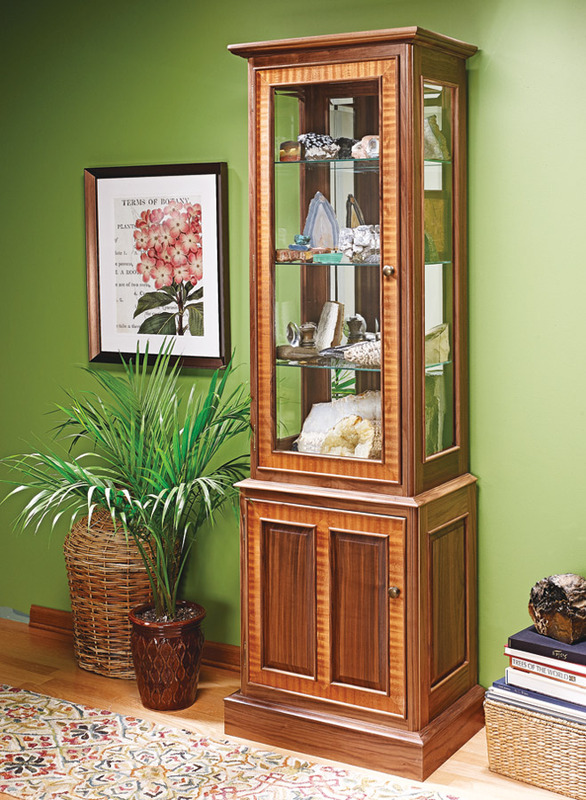 This display cabinet puts your treasures on center stage while protecting them from dust and damage. 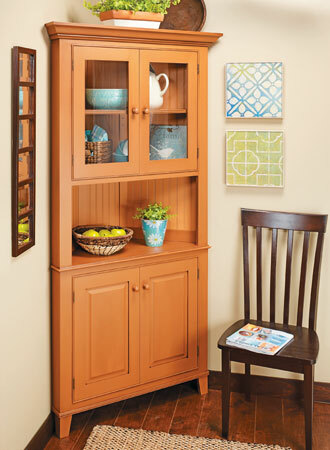 The upper portion of the cabinet is a showcase with a glass door and sides. A mirrored back and glass shelves allow plenty of light inside and permit all-around views. 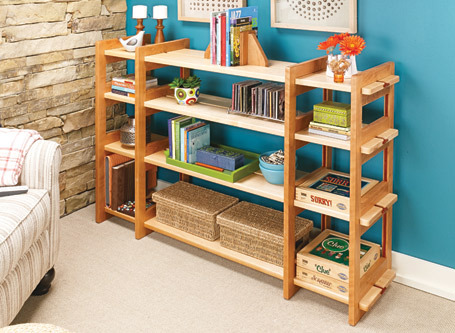 The lower compartment offers out-of-sight storage. 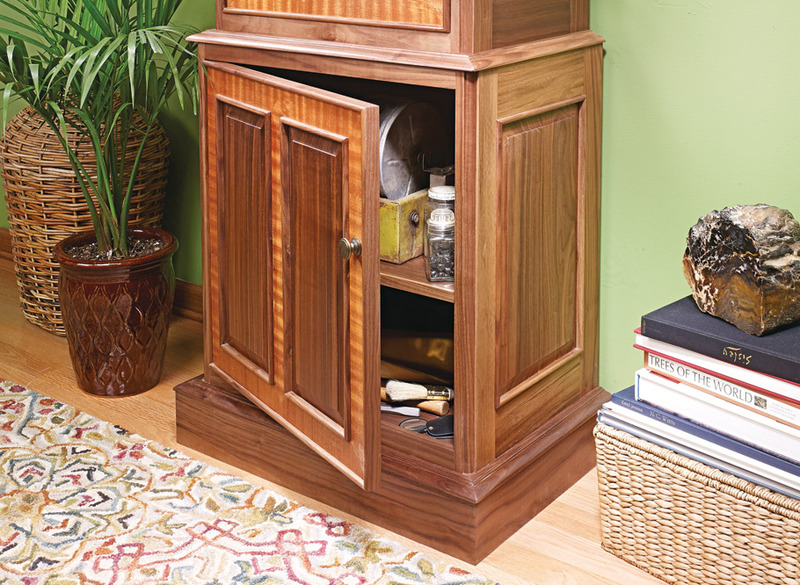 Building a fine cabinet like this gives you the opportunity to put your woodworking skills on display, as well. 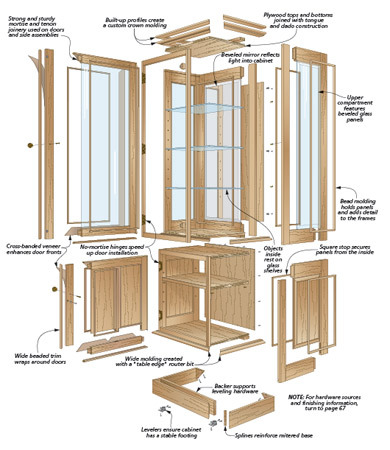 The cabinet takes a unique approach to frame and panel construction. You’ll make raised panels for the lower part of the case, while the doors feature cross-banded veneer work. 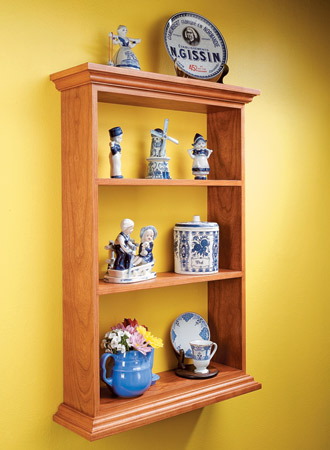 This set of shelves uses a clever design of interlocking notches and keys that make it a snap to set up or take down. It’s sure to be a fun weekend build.